Posts tagged with "Amy Rankin"
Departure dates of two early spring 2018 adventures in Ireland are thoughtfully scheduled immediately after St. Patricks’ Day celebrations in Dublin on March 17. 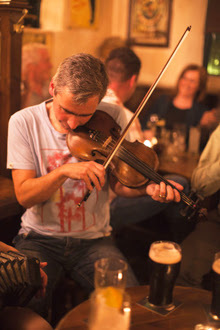 This means that before joining a tour, guests of Vagabond Small Group Tours of Ireland (https://vagabondtoursofireland.com/) can have the best of all worlds Irish. On their own they can partake of St. Patrick’s Day events March 15-19 in Dublin, the gateway city for both of these week-long tours. Then filled with bonhomie and by-now most certainly desperate to find a leprechaun – or at least a luck-filled four-leaf clover – their journey of Ireland’s south and south west begins. Last year just over 100,000 North Americans visited Ireland over the St. Patrick’s Day period. The relatively warm waters of the Gulf Stream, and the prevailing southwesterly winds help make March’s climate moderate and usually pleasant. 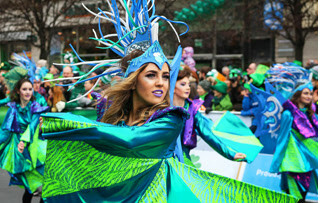 Here is a link to the official festival website http://www.stpatricksfestival.ie/events. This celebration honors Ireland’s patron saint who brought Christianity to Ireland in the 5th century and whose influence brought about Ireland’s Golden Era. On all Vagabond tours a bounty of live music is a given, but fiddles become even more intense over this holiday that’s celebrated worldwide with the wearin’ o’ the green. Also given on these tours are excellent meals in some of Ireland’s best pubs and restaurants and accommodation in carefully vetted guest houses and small hotels that reflect their communities. The two March departures coinciding with St. Patrick’s Day journey roundtrip from Dublin to Ireland’s southwest Wild Atlantic Way, with photo-op stops aplenty and visits to breweries, whisky distilleries, shops and galleries. The per person double rate is €1,919 (single supplement €315). 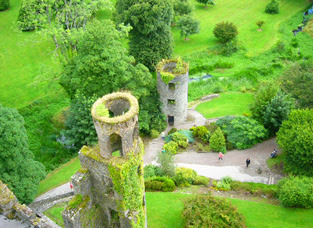 For details please see https://vagabondtoursofireland.com/tour/ireland-trips-award-winning-8-day/. Amy Rankin, co-founder and director, says that Vagabond’s March and April tours are 10 percent cheaper than those in summer; airline fares are lower in the spring; and with flocks of sheep galore, the lambing season is a must and guides are energized having just emerged from “hibernation”. For fun watch this video: https://www.youtube.com/watch?v=AwBVGm_01f8. “From the addition of unique accommodations to totally brand-new tours, 2018 is shaping up to be our most exciting new year!” she adds. 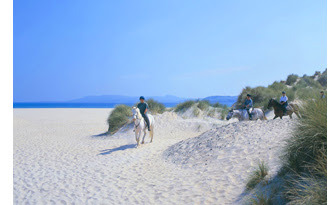 Since 2002 Vagabond Adventure Tours has been creating opportunities for visitors to embrace Ireland by walking, biking, horseback riding and kayaking its lands and waters, imbibing history and culture along the way. In 2013 the company was honored by National Geographic Traveler with a Top 50 Tour of a Lifetime distinction. In 2015 and 2017 Vagabond Small Group Tours of Ireland was named the “Best Adventure Experience” at the Irish Tourism Awards. And in 2016, Vagabond became Ireland’s first tour operator to achieve Ecotourism Gold Level Certification. In 2013 the company launched Driftwood Journeys of Discovery that explores in a less strenuous manner many of the same routes of Vagabond Adventure Tours. Itineraries in both divisions focus on high yield, low impact tourism which means that local economies benefit from the company’s and guest contributions to local, rural Irish economies (including accommodations, meals, nightlife, attractions and shopping). For details on all of Vagabond Small-Group Tours of Ireland itineraries, availability and for 2018 reservations, please visit https://vagabondtoursofireland.com/. Call toll free (from the US) 833-230-0288; in Ireland 00353 (0) 1 5634358; or email info@vagabond.ie. This entry was posted in Uncategorized and tagged 360 Magazine, 5th century, Amy Rankin, ancient, Bantry Bay, Bantry House and Gardens, Blarney Castle, Blarney Stone, Bullig Bay, castles, Christianity, Connemara, Cork, Dingle Irish Whiskey, Dingle Peninsula, Driftwood Journeys of Discovery, DUBLIN, Dunboy Castle, Ecotourism Gold Level Certification, Facebook, Funghi the Dolphin, Gaelic, Garinish Island Gardens, Global Society, Golden Era, green, Gulf Stream, hiking, holiday, INSTAGRAM, Ireland, Irish, Irish Tourism Awards, Kerry, Killarney national park, Kylemore Abbey and Grounds, leprechaun, monks, Muckross House and Gardens, National Geographic Traveler, North america, Pinterest, pop culture, Saint Patrick’s Day, Top 50 National Geographic Tour of a Lifetime, Twitter, Vagabond Small Group Tours, Vaughn Lowery, walking, Wild Atlantic Way, worldwide, YouTube on January 30, 2018 by wp360mag. Inquisitive adventure travelers would be wise to put Ireland on their tour map for 2018. 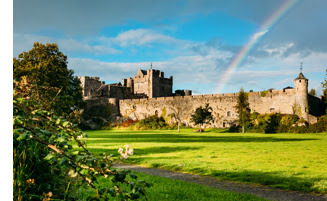 Vagabond Adventure Tours, Ireland’s award-winning tour operator serving fit and active travelers, and its complementary division, Driftwood Journeys of Discovery that emphasizes unique scenery, culture and history at a more relaxed pace, have added new tours and itinerary embellishments for the coming year. 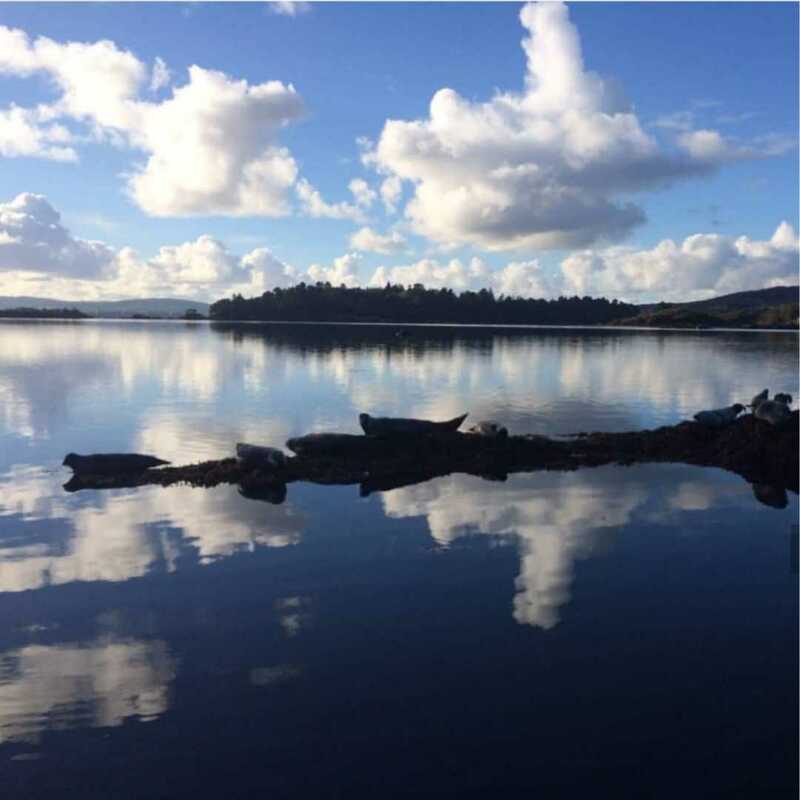 “From the addition of unique accommodations to totally brand-new tours, 2018 is shaping up to be our most exciting new year!” says Amy Rankin, co-founder and director of Vagabond Small-Group Tours of Ireland (https://vagabondtoursofireland.com/). With multiple departures scheduled for May into September 2018, Vagabond’s Driftwood Journeys of Discovery is launching a new leisurely paced 7 Day Kerry UnCorked Tour through Ireland’s southwest including two nights in Ireland’s foodie capital, Kinsale, where guests savor sea food, visit craft breweries and enjoy whiskey tasting in a local pub. Another stop with plenty of time allotted for exploring is Dingle where galleries and pubs (54 at last count) abound. The itinerary embraces visits to ancient ruins and lunar landscapes, planting a kiss on the Blarney Stone, watching the centuries-bred instincts of working sheep dogs, strolling through stately homes and gardens, being spell-bound by the green fields and stone walls of Dingle and Ireland’s wild and rugged Atlantic coastline where near the Cliffs of Moher in the Burren original Irish music still emanates. The gateway city is Dublin. The per person double rate is €1,699 (€300 single supplement). For more details see: https://vagabondtoursofireland.com/tour/cultural-ireland-tour-7-day/. Driftwood Journeys of Discovery’s 6 Day Northern Island Tour lavishes guests inclined to leisurely paced culture with castles and manor house estates on whose walls is written much of Northern Island’s resiliency. Appetites for grandeur are whetted on Day 1 at two Palladian-style estates, Castletown House on 550 acres maintained by the Guinness fortune, and Strokestown Park and The Irish National Famine Museum. Sweet dreams this night are within the confines of Markee Castle Hotel. After extensive renovation to become an accommodation, as of 2017 this family-owned castle-hotel is the fourth member of Romantic Castles of Ireland and a new addition to this itinerary. 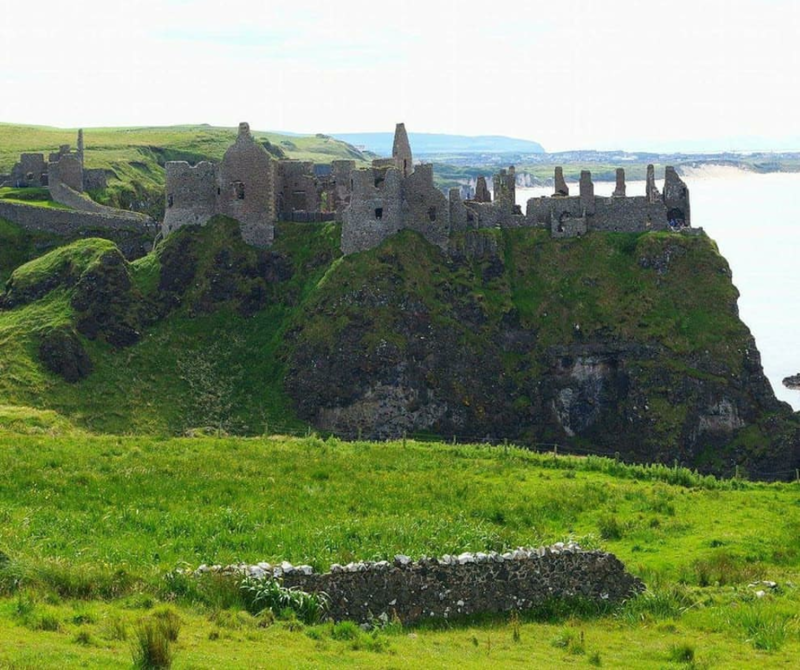 Guests also get tweedy in Donegal, home of the famous weave and Donegal Castle and they’re imbued in clan lore at Dunluce Castle, the McDonald stronghold. One night they sleep with ghosts in 17th century Ballygally Castle. Another recent addition to this tour is a night at a Victorian red brick masterpiece right on the beach, Slieve Donard Resort and Spa. 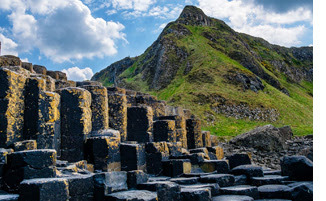 Over six days guests enjoy jaw-dropping vistas atop Atlantic Ocean cliffs; the UNESCO World Heritage Site, Giant’s Causeway; Celtic myths and monasteries; walks on the beach along the Wild Atlantic Way; fiddle-filled pubs, tours of cultural hubs and more. The gateway city is Dublin. Scheduled departures run from April through October. The rate per person double is €1,509 (single supplement €210). For details see https://vagabondtoursofireland.com/tour/6-day-northern-ireland-tour/. The gateway is Dublin. The rate per person double is €1,619 (€220 single supplement). Weekly departures are scheduled from late April through September, 2018. For details see https://vagabondtoursofireland.com/tour/7-day-magnetic-north-northern-ireland-adventure-tour/. Also beginning in 2018, all tours that include Galway will linger a bit longer here giving guests at least two hours for exploring and shopping in this bustling city. From Eyre Square, a walk down Shop Street is a must. Onlookers are treated to entertainment from buskers as well as countless small cafes and shops, including the shop famous for Claddagh rings that promise love, loyalty and friendship. Not far from Spanish Arch is the impressive Galway Cathedral, which is home to interesting art and design. The Vagabond Adventure Tours inclusive of Galway include 7, 8, 11 and 12-day programs. On all its tours, the Vagabond staff will curate locally owned accommodations, pubs and restaurants that help serve their goal of authenticity. In the end the mission is to have guests “love Ireland as much as we do.” Transport is in a custom 4×4 Land Rover or Mercedes ‘Vagatron’ that allows access beyond where regular tour buses go. 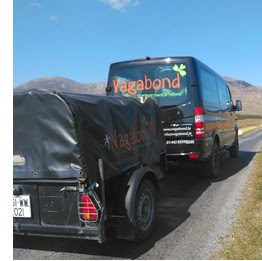 Since 2002 Vagabond Adventure Tours has been creating opportunities for visitors to embrace Ireland by walking, biking, horseback riding and kayaking its lands and waters, imbibing history and culture along the way. In 2013 the company was honored by National Geographic Traveler with a Top 50 Tour of a Lifetime distinction. In 2015 and 2017 Vagabond Small Group Tours of Ireland was named a “Best Adventure Experience” at the Irish Tourism Awards. And in 2016, Vagabond became Ireland’s first tour operator to achieve Ecotourism Gold Level Certification. In 2013 the company launched Driftwood Journeys of Discovery that explores in a less strenuous manner many of the same routes of Vagabond Adventure Tours. Itineraries in both divisions focus on high yield, low impact tourism which means that local economies benefit from the company’s and guest’s contributions to local, rural Irish economies (including accommodations, meals, nightlife, attractions and shopping). 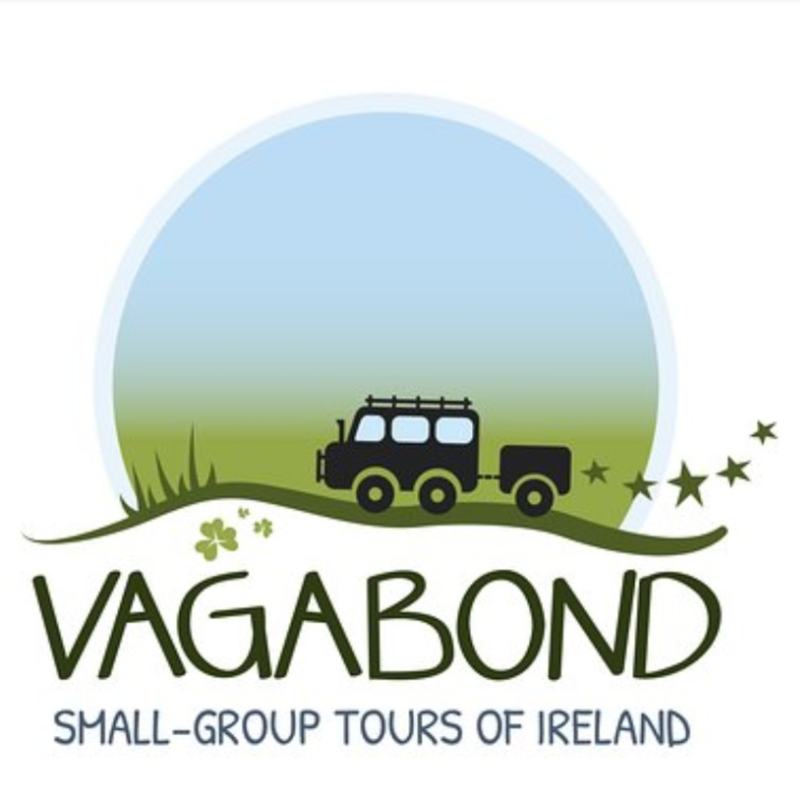 For details on all of Vagabond Small-Group Tours of Ireland itineraries, availability and for 2018 reservations, please visit www.vagabondtours.com. 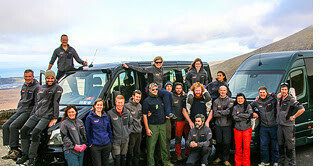 Call toll free (from the US) 833-230-0288; in Ireland 00353 (0) 1 5634358; or email info@vagabond and info@driftwood. This entry was posted in Uncategorized and tagged 360 Magazine, 6 Day Northern Island Tour, 7 Day Kerry UnCorked Tour, 7 Day Magnetic North Adventure Tour, adventure, Amy Rankin, Atlantic, award-winning, Ballygally Castle, Blarney Stone, brewery, Burren, castles, Castletown House, Celtic, Claddagh, cliffs, Cliffs of Moher, culture, Dingle, Donegal, Donegal Castle, Driftwood Journeys of Discovery, DUBLIN, Dunluce Castle, Ecotourism Gold Level Certification, Eyre Square, fiddles, food, Galway Cathedral, Giant's Causeway, Guinness, hiking, horseback riding, Ireland, Irish music, kayak, Kinsale, Leitrim, lifetime, Marker Castle Hotel, Mayo, McDonald stronghold, National Geographic, National Geographic Traveler, Northern Ireland, pop culture, Romantic Castles of Ireland, sand, sea food, Shop Street, Slieve Donard Resort and Spa, Sligo, Spanish Arch, Strokestown Park, The Irish National Famine Museum, tour, travel, UNESCO World Heritage Site, unique, Vagabond Adventure Tours, Vaughn Lowery, Western Greenway, Wild Atlantic Way on January 8, 2018 by wp360mag.